A handsome long-legged wader with a long bill. Birds in the breeding season are resplendent in a brick-red breeding plumage; in the autumn they moult into a much greyer non-breeding plumage. As well as having a solid black tail (only obvious in flight) the Black-tailed Godwit is a tall, slimmer, more graceful bird than its close relative the Bar-tailed Godwit. Most Black-tailed Godwits visiting The Wash come from the population that breeds in Iceland (and are of the distinct race islandica). 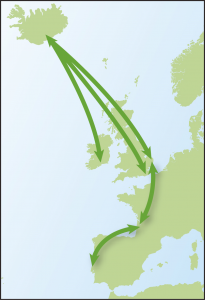 The wintering range of this race extends from Ireland to Portugal and some birds from these areas pass through The Wash on spring and autumn migration. A small number of pairs from the continental population (race limosa) breed on the inland washes of the Nene and the Ouse; these birds migrate to southern Europe and western Africa. Largest numbers of Black-tailed Godwit are present during the periods of passage (particularly August and September), but they are present in good numbers throughout the winter. 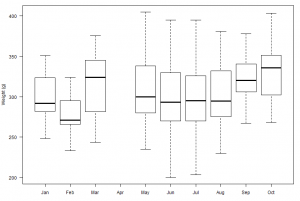 As the graph below shows, however, the majority are caught on The Wash during the autumn passage period. The number of Black-tailed Godwits caught on The Wash, by month, between 1985 and 2016. Black-tailed Godwits feed on tidal mudflats, sometimes far out into The Wash. The best time to see them is close to high tide as they arrive and leave their roost sites (e.g. Snettisham Pits RSPB reserve). They can also be seen in the brackish lagoons at Titchwell RSPB reserve, particularly during passage periods. They are particularly worth viewing in late spring, when some birds will be growing into their summer plumage. Black-tailed Godwits feed primarily on small clams (particularly Baltic Tellins Macoma balthica and Furrow Shells Scrobicularia), small mud snails and worms. They feed on tidal mudflats (often in deeper water than the Bar-tailed Godwit), saltmarsh lagoons and wet grassland. 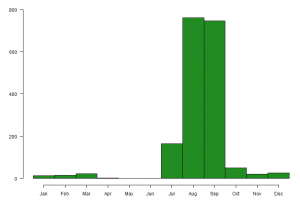 As the graph below shows, the number of Black-tailed Godwits caught each year varies. Some annual fluctuations are related to the success of catching attempts rather than being representative of the number of birds present. 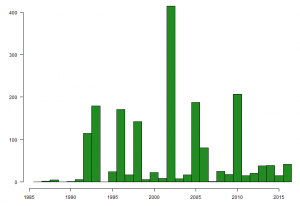 The number of Black-tailed Godwits caught on The Wash, by year, between 1985 and 2016. This bird holds the record for the oldest Black-tailed Godwit to be ringed in Britain & Ireland and was previously recaught by WWRG. 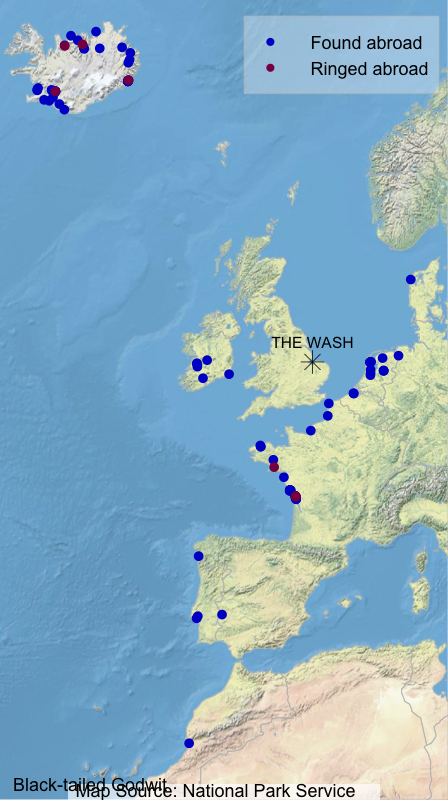 The following map shows where Wash-ringed Black-tailed Godwits have been found abroad (blue dots) and where foreign-ringed birds that have been encountered on The Wash were ringed (maroon dots). The graph below shows the average weights, by month, of Black-tailed Godwits caught on The Wash between 1985 and 2016. The thick horizontal line gives the average weight and the box indicates the middle 50% of weights. The thin vertical lines indicate the range of observations, with the circles identifying the most extreme values. The lack of a result for April reflects the fact that no Black-tailed Godwits are caught on The Wash in April. The group participates in the project that studies the Black-tailed Godwits breeding in Iceland. This project involves researchers from Iceland, Ireland, Britain, France and Portugal and has greatly improved our understanding of how birds migrate (did you know: paired birds winter in different countries), how birds use farmland habitat in the Icelandic breeding grounds and estuaries in winter, and how bird populations respond to environmental change. The project uses up to four colour rings of a range of colours to identify individuals.